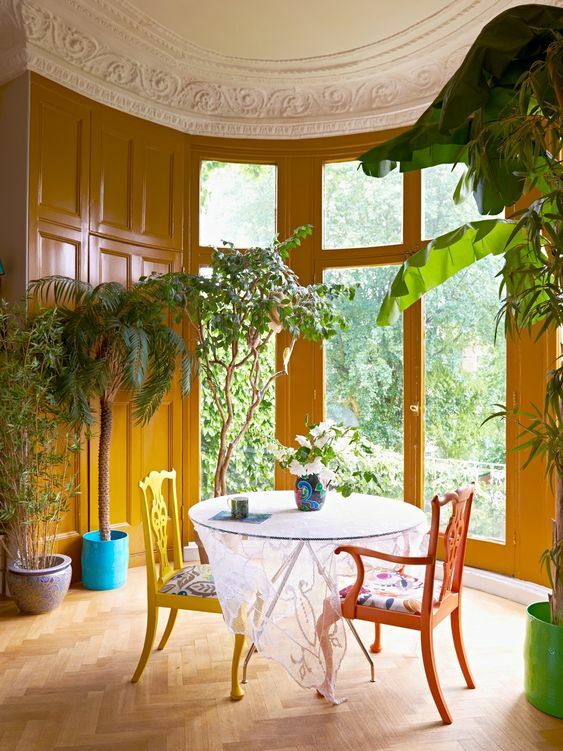 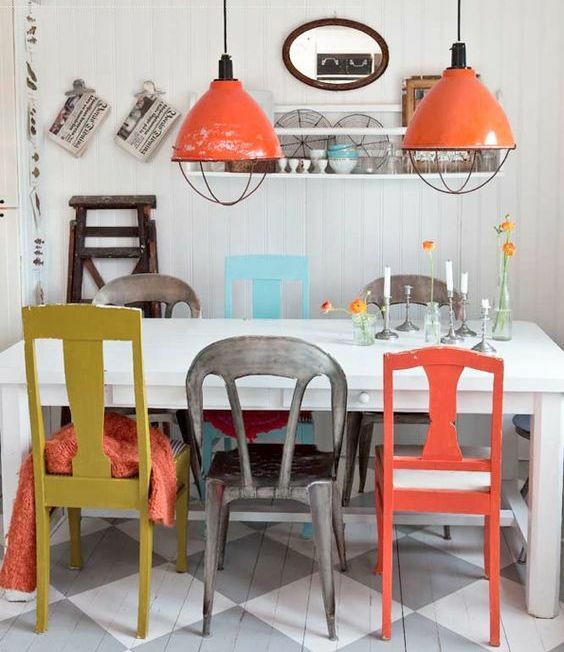 You don’t really want to match all your furniture – dull, dull, dull. 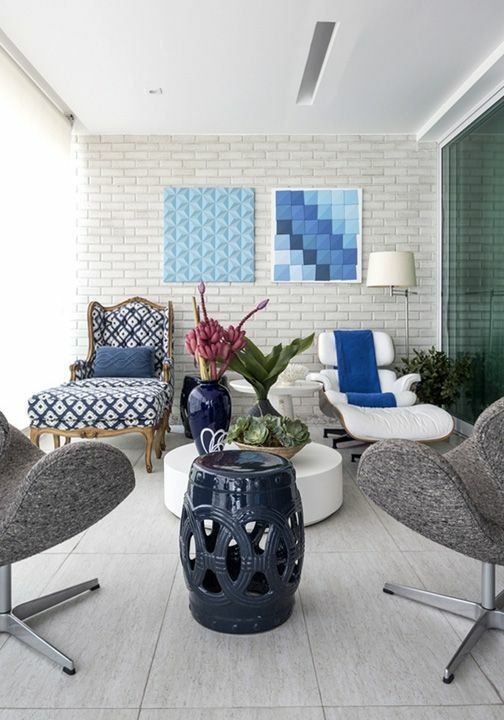 Try to harmonize the different pieces so they blend together as if a first-rate eye has selected them over a period of time. 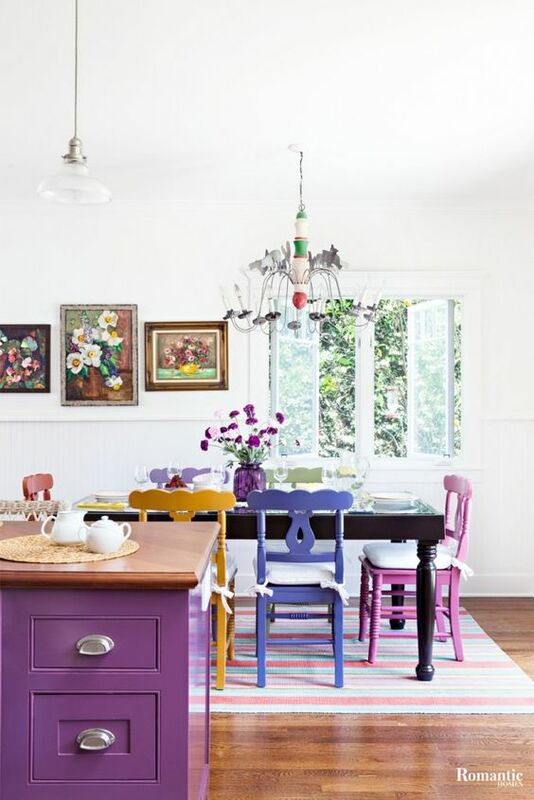 Such matching mismatched furnishings is a hot trend now and it’s getting more and more popularity. 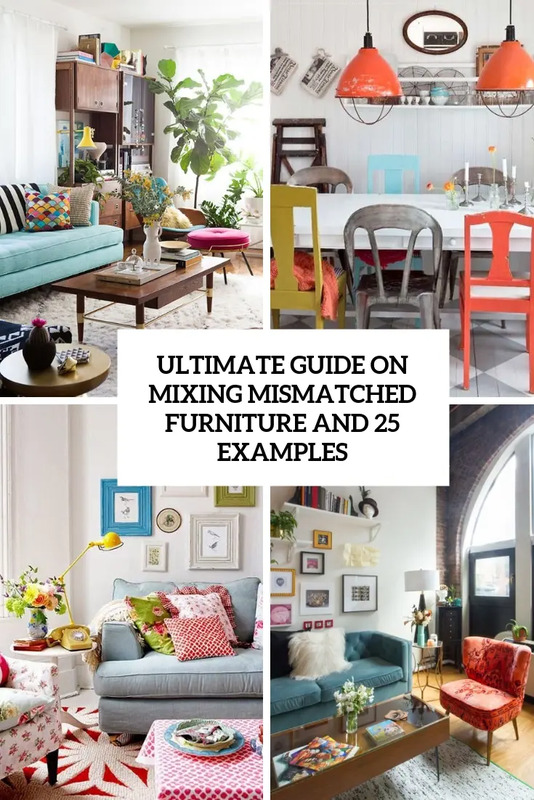 If you want your home to look modern and trendy, avoid boring matching furniture and read these tips on mixing different ones. 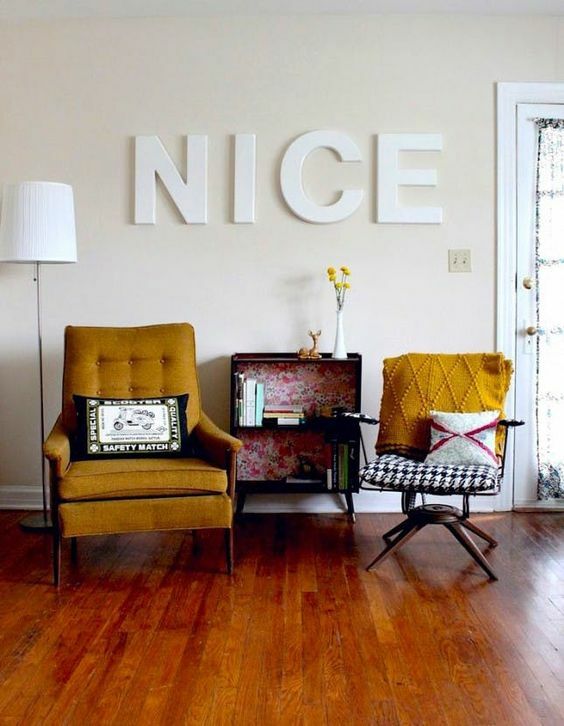 The danger in not having matching furniture pieces is that everything is an accent piece. 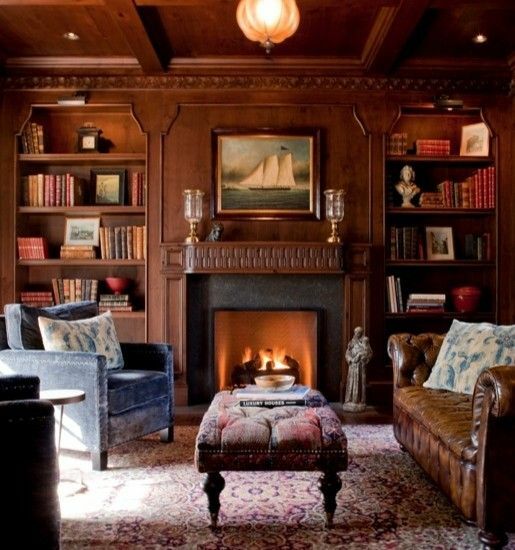 Choose a common thing and stick to it, the common denominator could be style or period, silhouette and form, or color palette. 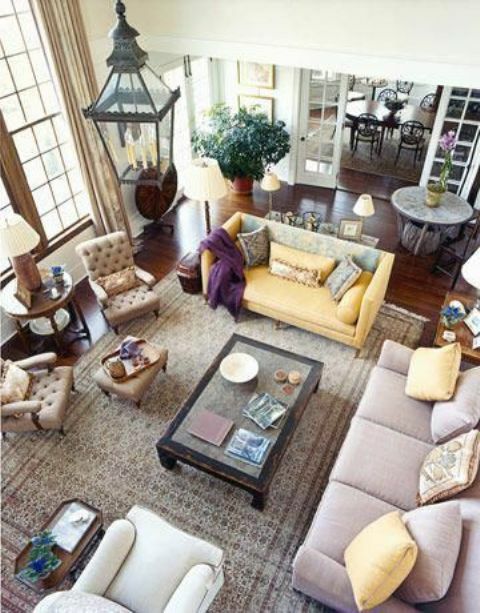 For example, if you like mixing styles, it would be best to stick to a monochromatic scheme. 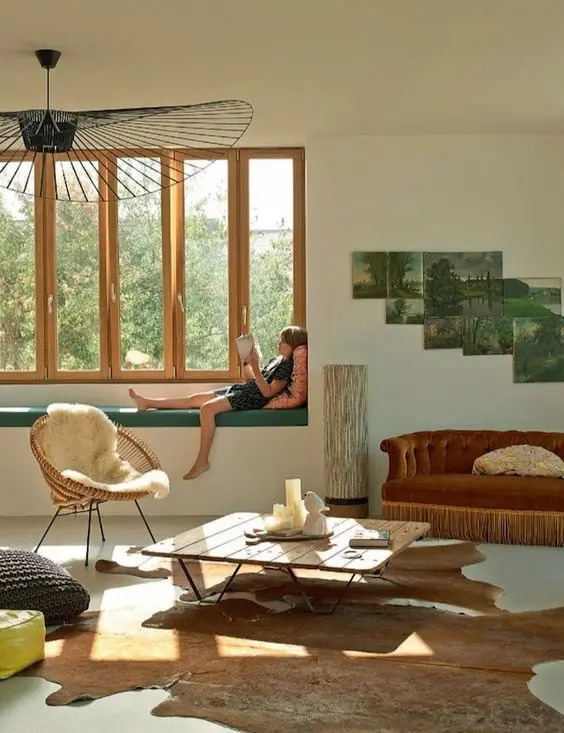 The style, the finish, the color, the heft and scale of the furniture should be somewhere in the same neighborhood so they harmonize in your room. 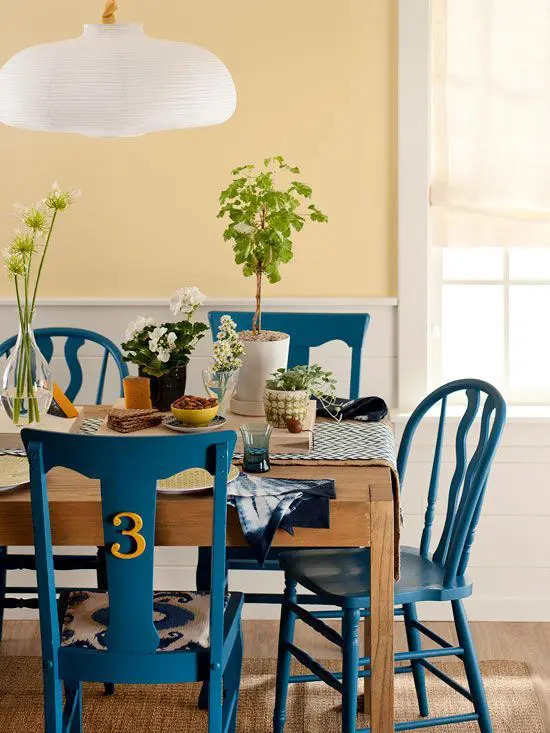 Color is usually the easiest staple for your home decor, it’s very easy to keep the furniture in the same color, you may even reupholster or repaint the pieces to match them. 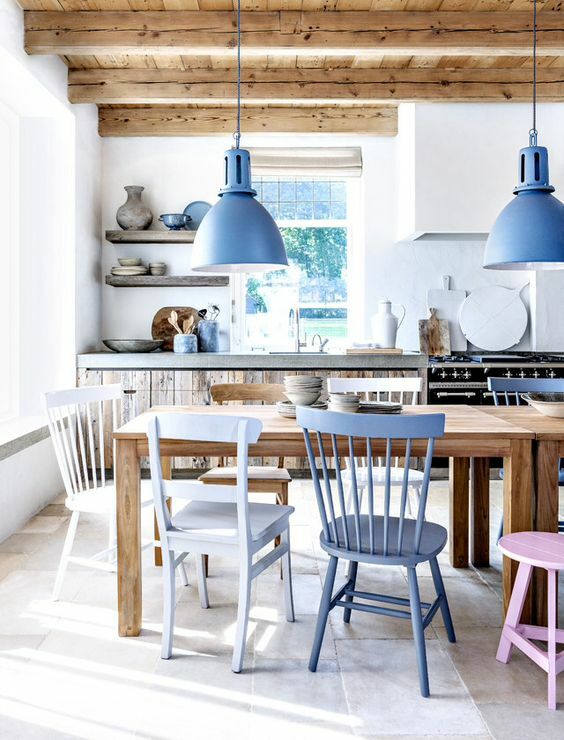 Color repetition is a secret weapon when it comes to making your mismatched miscellany look good together, even if you can’t decide upon a basic theme for the room. 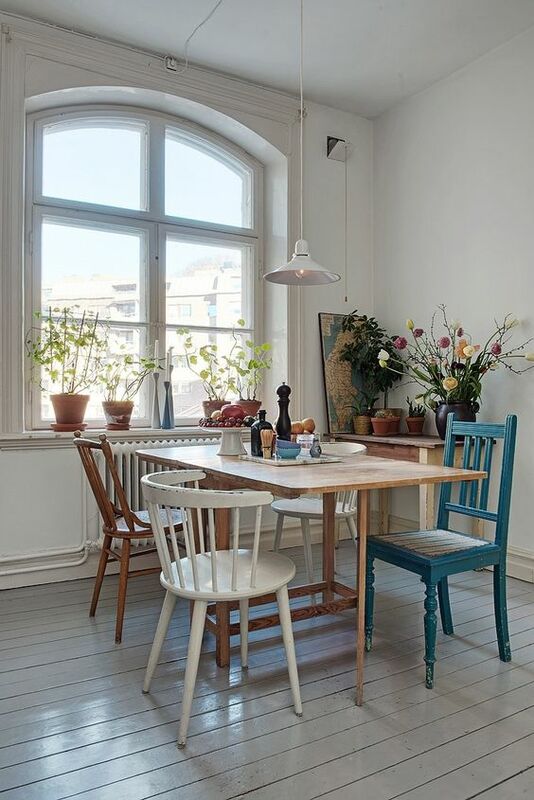 Pick a color from upholstery, a rug or a photo and repeat it somewhere else in the room, such as on a lamp or even a set of placemats. 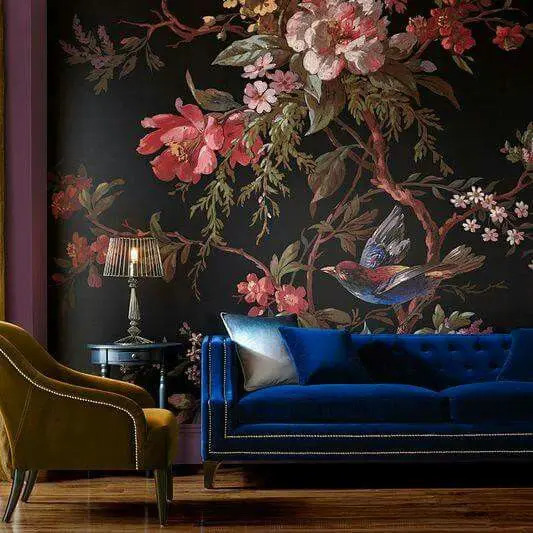 If the room already has loads of unmatching colors – for instance, one with an eclectic or Bohemian theme – find an area rug or large painting that features some of the same hues to tie the look together. 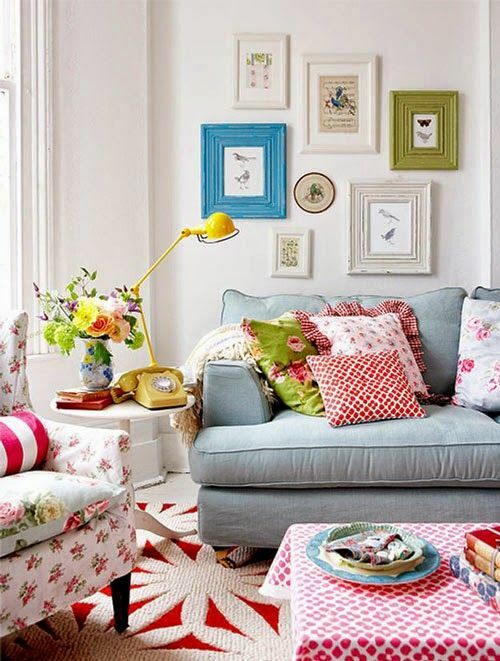 Even if your space is very colorful, you’ll easily find a way to staple it and tie the pieces together. 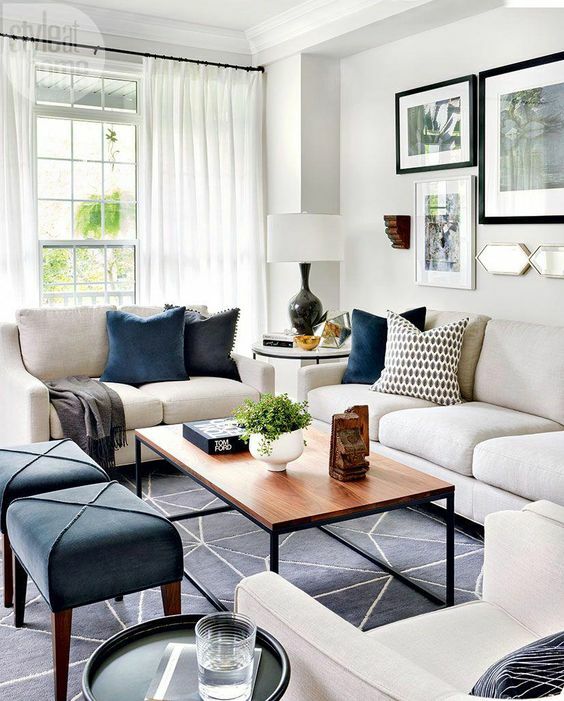 Throw pillows offer one of the easiest ways to tie together the look of a room, even if the sofa and armchairs don’t match. 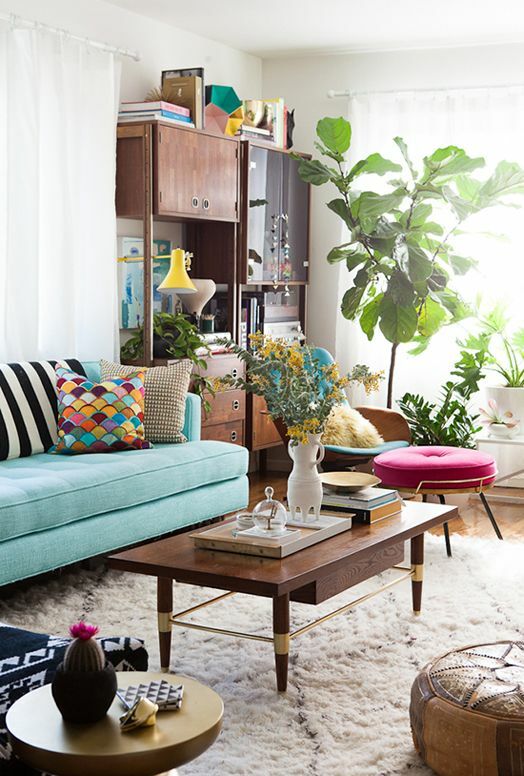 If the sofa came with a few matching throw pillows, place those on nearby unmatched chairs. 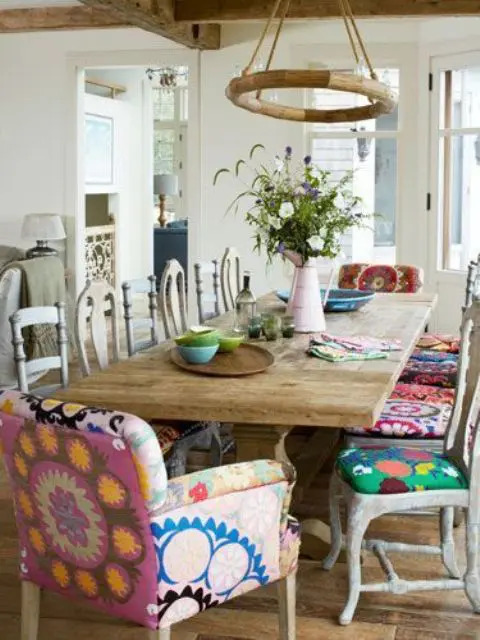 The main rule is to pick pillows with colors and patterns that look good with one another, and when paired with the furniture. 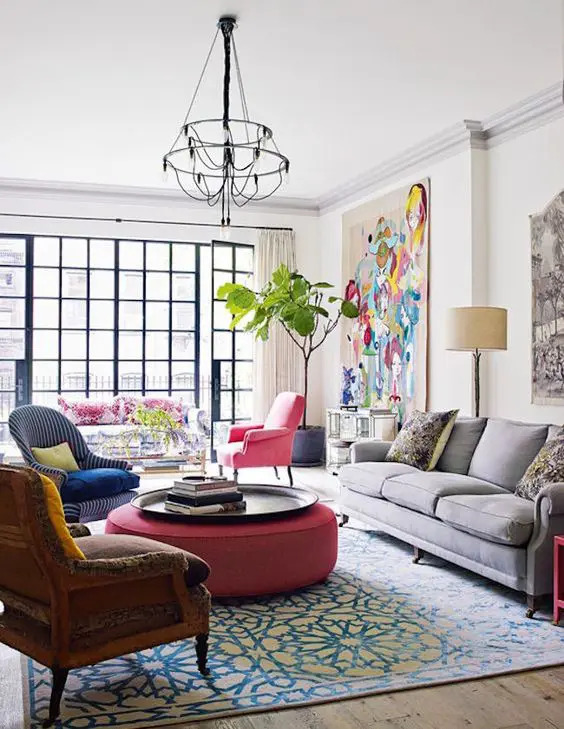 You may also link the spaces with prints, chandeliers, shades and many other items finding those that are echoing with each other. 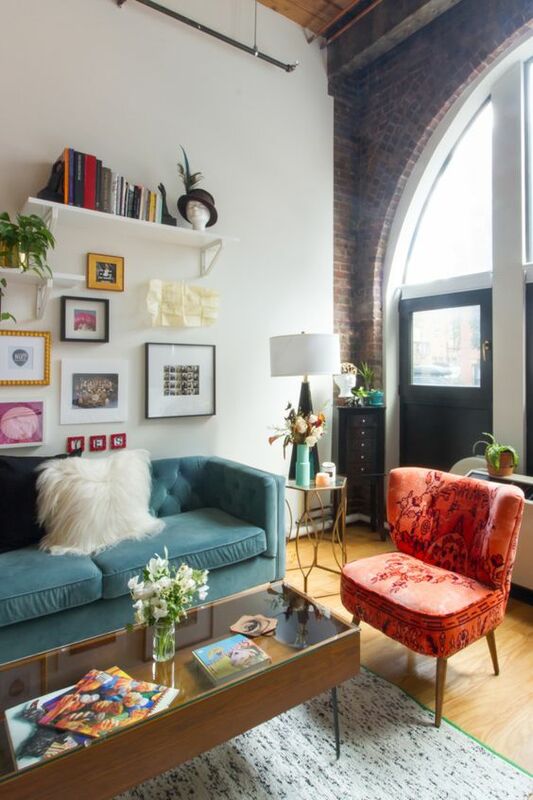 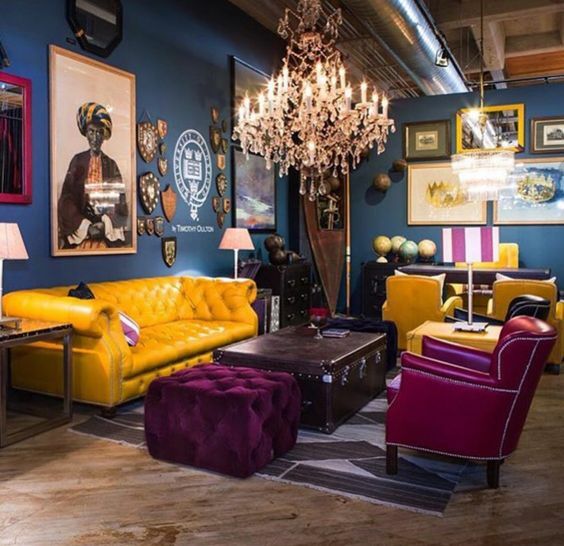 Make your space bold, trendy and creative!